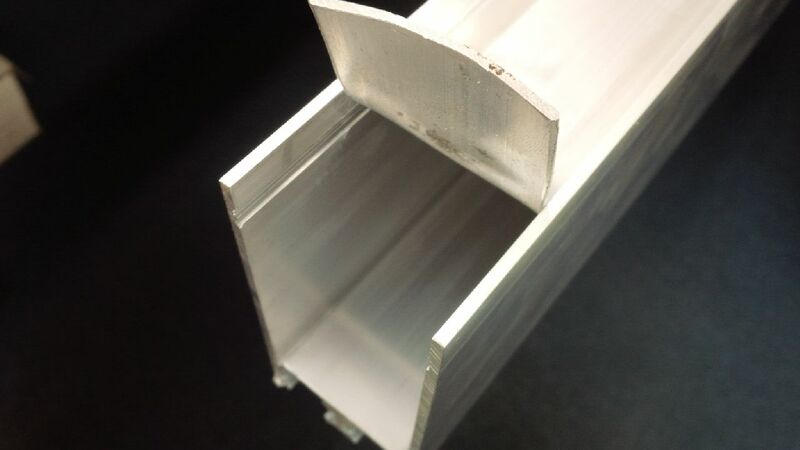 We often use tear out strips in extrusion design there are benefits in providing sections that can’t be made as solids or sections with demanding ratios. There are other benefits as well particularly if the section is to be machined the strip is supportive. Whilst we are happy to remove the strips, which can be done manually or on a CNC, we also use this method. To show how easy it is I did this part at home using my wife as my assistant, and still managed to do it easily. One of the great advantages of 5 axis CNC with added saw action, is you get to cut really cool geometry. We use it extensively not only to achieve complex mitres but also to produce sharp corners where access allows in place of the normal max rad ones. 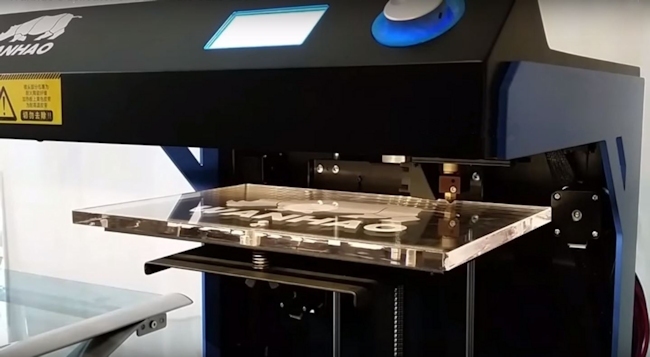 INAL Metals now provide a 3D printing service and can usually have your part ready within 24 hours if a 3D model is provided. Having the ability to see your product allows you to test any parts for fitment before full production run. Maximum product size Length 305mm Width 205mm Height 575mm. 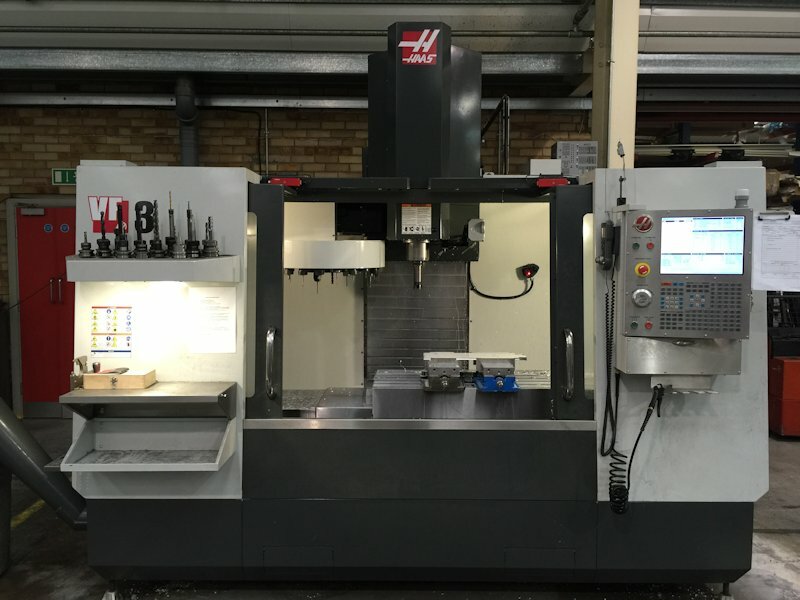 CNC machining centre with 4 controlled axes for machining bars or work-pieces made of aluminium, PVC, light alloys in general or steel. It has two modes of operation: either in just one work area for bars up to 7.7 m long or else in two independent work areas. The versions COMET T6 HP, with 2 extra axes for vices and reference stop positioning, and COMET T6 I, with independent motor-driven vices, enable the vices to be positioned in concurrent operation time when the machining centre is running in double mode. The 4th axis allows the electric spindle to be controlled by the N/C continuously in the range 0° to 180° for machining the profile contour. 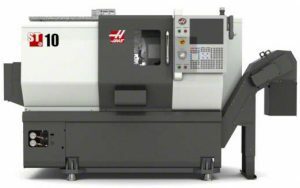 It is equipped with an 8-place tool magazine on board the X axis slide, capable of containing 2 angle machining heads and a side milling cutter, for machining the 5 faces of the work-piece. 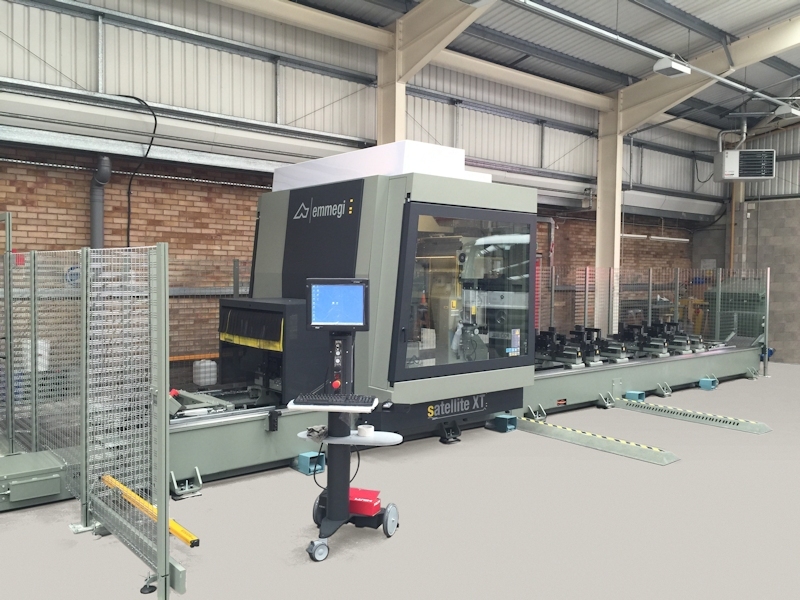 It also has a traversing work table which makes work-piece loading/unloading easier and increases the machinable section considerably. 5 Axis machining centre with 500mm saw blade for compound mitres, full 5 axis Renishaw probing. Maximum profile machining on top face X = 7800mm Y = 1100mm Z = 655mm. 5 Axis machining centre with 350mm saw blade for compound mitres, full 5 axis Renishaw probing. 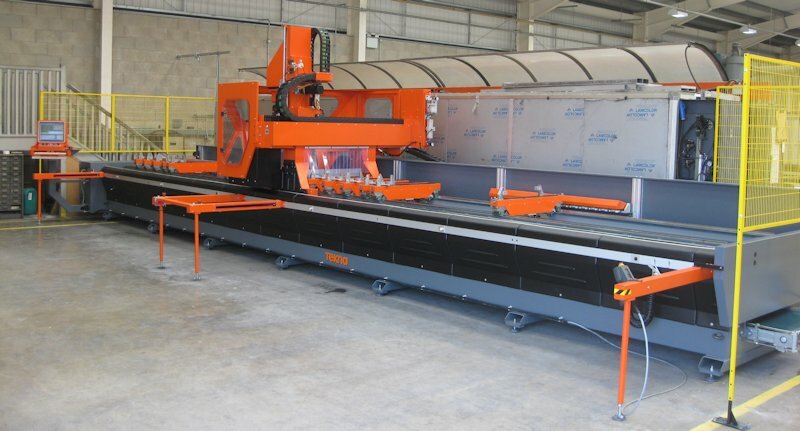 Machining on ends maximum length 7900mm Automatic 28 station tool changer. Rotary tool store with 12 positions, Siemens 840d control. 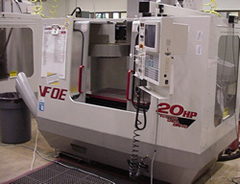 Vertical Machining Center; 84″ x 40″ x 30″ (2134 x 1016 x 762 mm), 40 taper, 30 hp (22.4 kW) vector drive, 8100 rpm, inline direct-drive, 24+1 side-mount tool changer, 600 ipm (15.2 m/min) rapids, automatic chip auger, programmable coolant nozzle, color remote jog handle, 1MB program memory, 15″ color LCD monitor, USB port, memory lock keyswitch, rigid tapping and 95-gallon (360 liter) flood coolant system.. Automatic 24 station Tool Changer. Rotary 4th Axis. This together with Renishaw probes. Vertical Machining Centre 760mm x 400mm x 500mm XYZ capacity. Automatic 20 station Tool Changer. Rotary 4th Axis and 400mm x 600mm Vacuum mat fixture available. This affords 14″ x 16″ (356 x 406 mm) max capacity, 1.75″ (44 mm) bar, 16″ (406 mm) swing, 15 hp (11.2 kW) vector drive, 6000 rpm, A2-5 spindle, 6.5″ (165 mm) chuck, 12-station bolt-on turret, 15″ color LCD monitor, memory lock key switch, USB port and rigid tapping. Standard tool holder kit included with BOT or Hybrid turret. As well as producing high volume components this will be invaluable as we develop the prototyping side of the business moving forward. 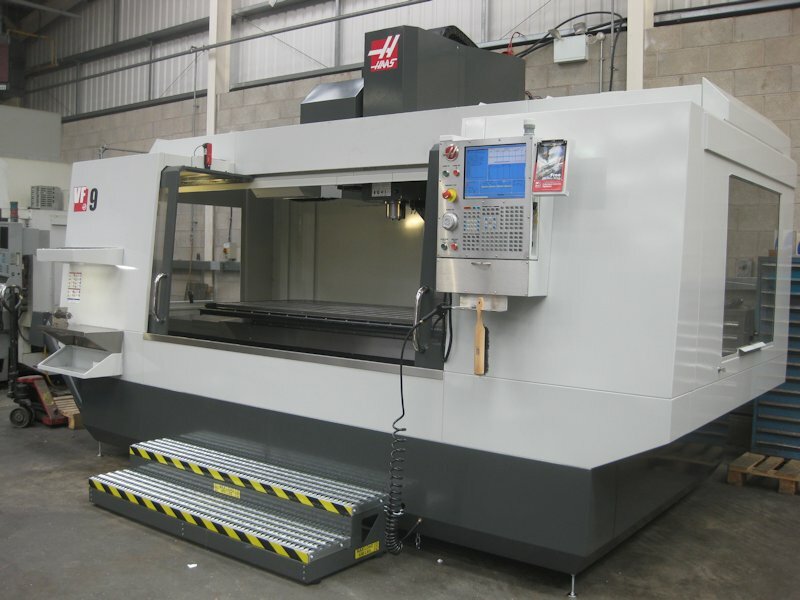 Horizontal Twin Pallet Machining Centre 965mm x 889mm x 787mm XYZ capacity. Automatic 40 station Tool Changer. This together with Renishaw probes. 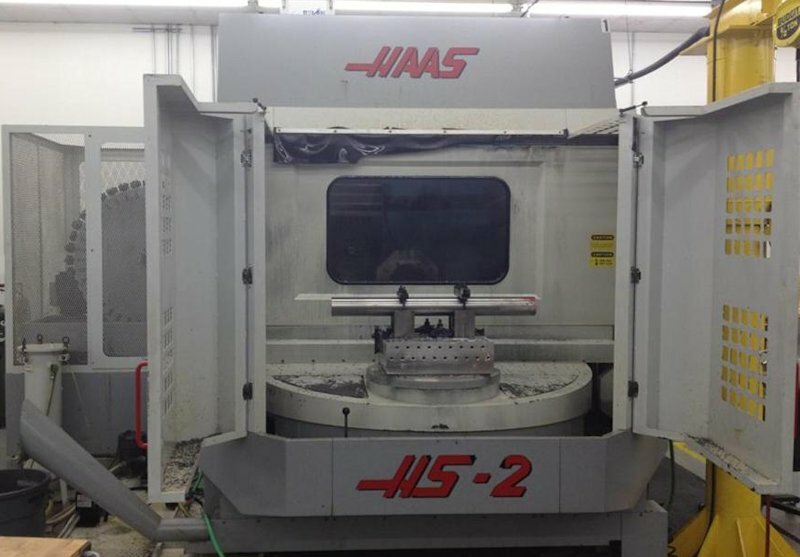 Vertical Machining Center; 40″ x 20″ x 25″ (1016 x 508 x 635 mm), 40 taper, 30 hp (22.4 kW) vector drive, 8100 rpm, inline direct-drive, 20-station carousel tool changer, 1000 ipm (25.4 m/min) rapids, 1 MB program memory, 15″ color LCD monitor, USB port, memory lock keyswitch, rigid tapping and 55-gallon (208 liter) flood coolant system. This together with Renishaw probes. 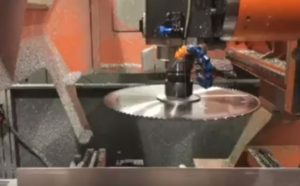 CNC saw 300mm up to 700mm diameter blade with an in feed length of 7200mm. Maximum cutting height 200mm, maximum cutting width 600mm (extremely accurate). With optional auto deburr. View Video : Auto Deburr. Automatic twin-headed saw with high cutting capacity and automatic positioning of cutting angle from 22.5° to 140°. 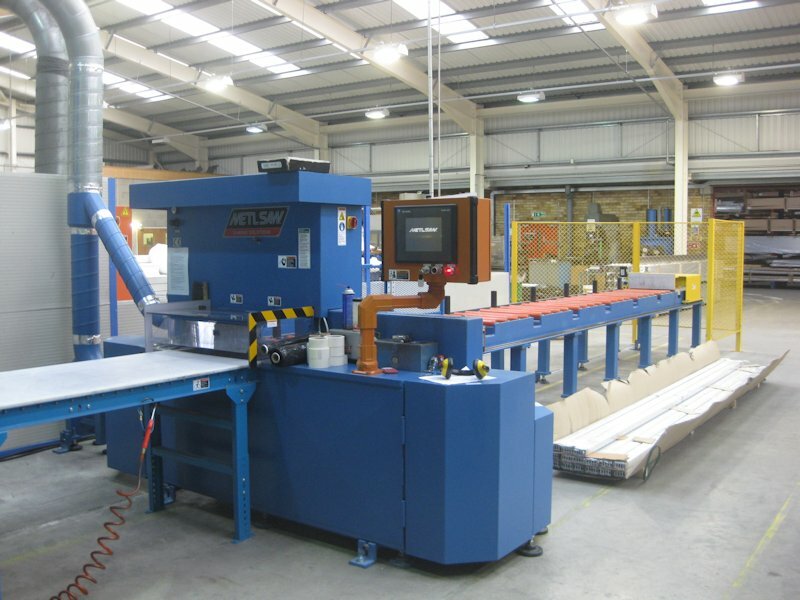 With This series of automatic saw we are able to process mitred profiles dimensions: [up to 5000mm ± 0.1 mm]. INAL have a full compliment of calibrated inspection equipment. 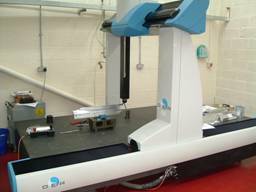 DEA CMM 1200mm x 2200mm x 1000 XYZ capacity. Allows checking of parts from 3 Dimensional models. Supports IDES/DXF/DWG/STEP FILES.